ESTEVAN, Sask. 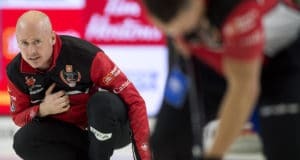 — It was a shot that would test any elite team — never mind one that featured a vice-skip playing just his third game with his new team. ESTEVAN, Sask. 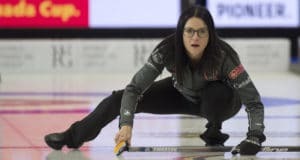 – Just when it looked like they were in deep trouble, Kerri Einarson and her Winnipeg team dug themselves out of a hole by rallying from a 5-2 fourth-end deficit to beat Allison Flaxey of Winnipeg 7-6 in the third draw of the 2018 Home Hardware Canada Cup. ESTEVAN, Sask. 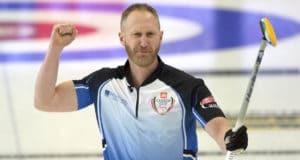 — Brad Jacobs executed two nearly perfect draws in the fifth and seventh ends to break open a tight battle between two Olympic gold medal winners and take an 8-4 win over Brad Gushue in the second draw of the Home Hardware Canada Cup Wednesday. 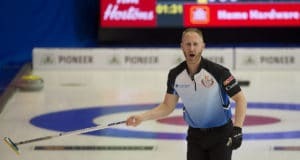 ESTEVAN, Sask. 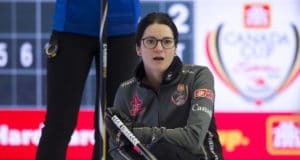 — Alli Flaxey’s team was the last women’s entry into the 2018 Home Hardware Canada Cup, but it didn’t take long for the Winnipeg squad to pick up its first victory.